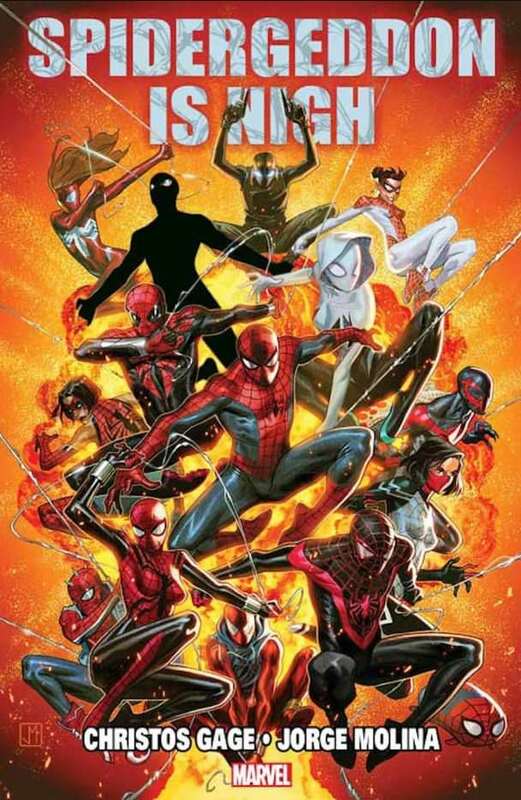 Guess what Spider-Man fans you better watch out, SPIDERGEDDON is coming, that is right SPIDER freaking GEDDON is on its way! What is Spidergeddon you ask? I have no idea. Marvel just release a promo for what seems to be a major Spider-Man event to occure in Fall of 2018. By its name it sounds bad. 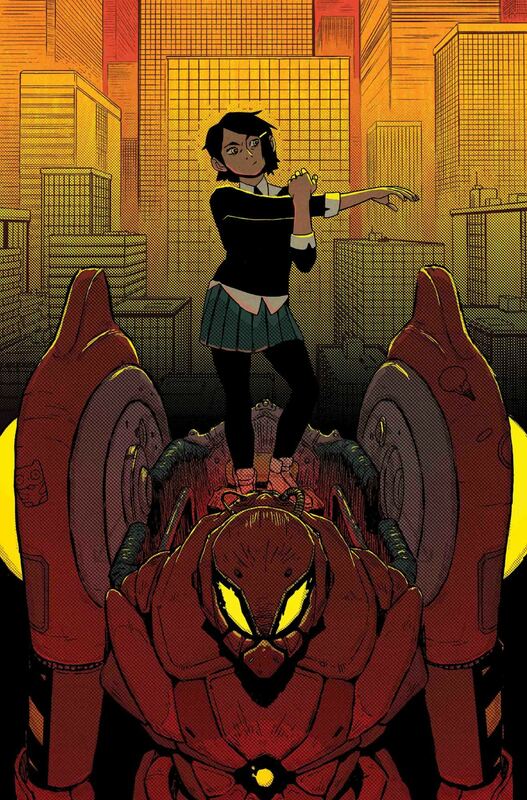 Part of the name makes me think of the Spider-Verse and I wonder if it could have ties to that story. Maybe there are too many Spider-Totems now that the Inheritors have been vaulted up and something is out of balance. We all know what happens when the "Balance" gets out of whack. In a 2nd promo many of the different variants of Spider-Man that were shown in the Spider-Verse series were shown swinging together on a poster. This seems to reveal that the themes and characters of the Spider-Verse series are being revisited. It is still not clear who the villain of the series will be. 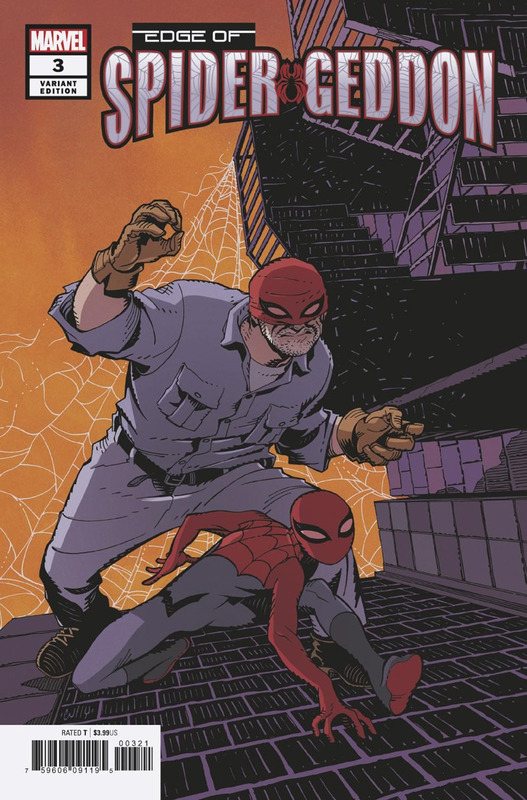 There also appears there will a series called Edge of Spider-Geddon similar to the Edge of Spider-Verse series that served as a prequel to the main Spider-Verse story. 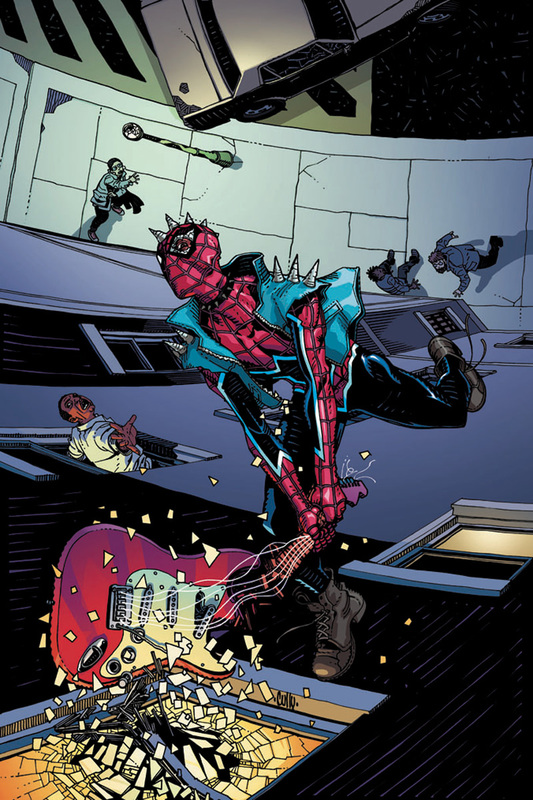 The Edge series featured many new versions of Spider-Man that proved to be popular including Spider-Gwen , Spider-Punk and SP////dr. 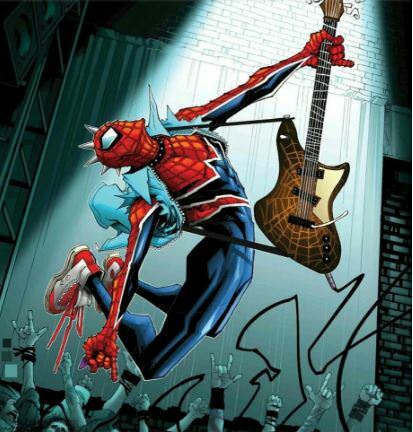 The first Edge of Spider-Geddon series is going to focus on Spider-Punk back in his own world. 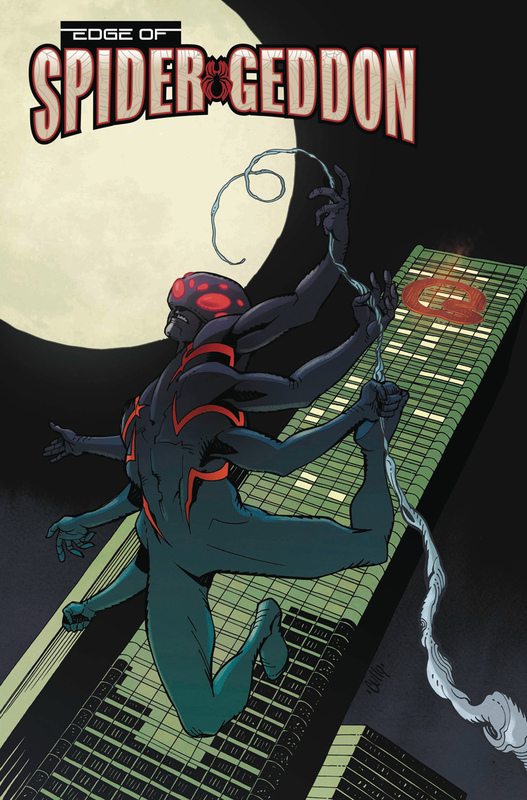 The 4th and Final Edge of Spider-Geddon will hit shelves Sep 26th and after that the official SPIDERGEDDON event will kick off. 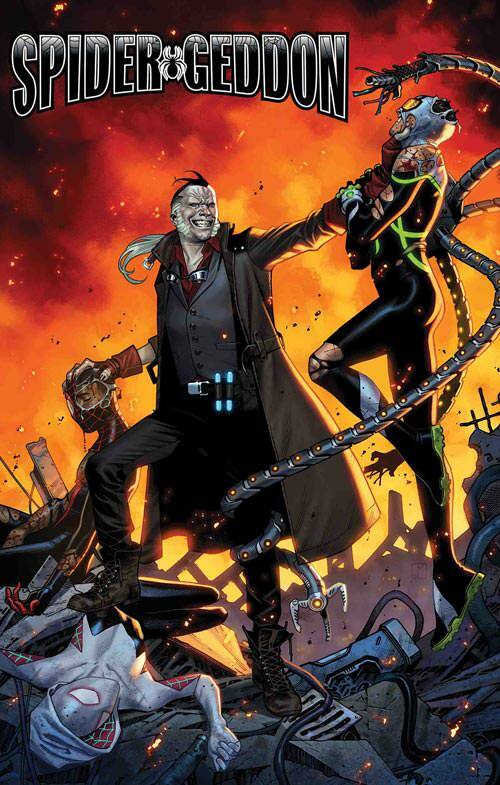 Villains Confirmed - THE INHERITORS RETURN!!!!!!!!! 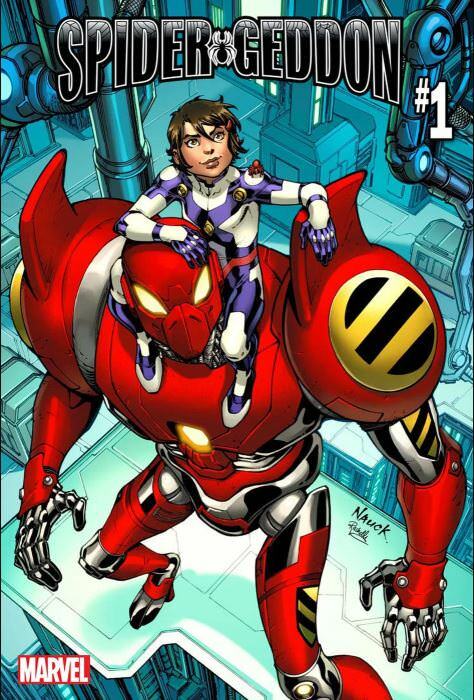 The Inheritors will have some how managed to escape from their Prison on an alternate radiated Earth. How they escaped is still a mystery. My guess is that someone helped them. 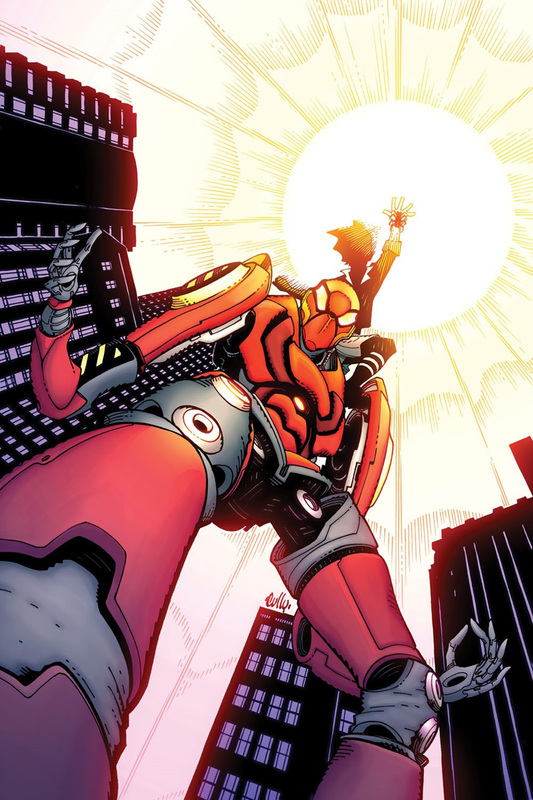 Now the Inheritors are out for vengeance on the Marvel Universe and it will take all of the Spider Men and Women, heroes and villains to stop them.